Awesome Styles from Target | A Savings WOW! Spring is here and summer is just around the corner. 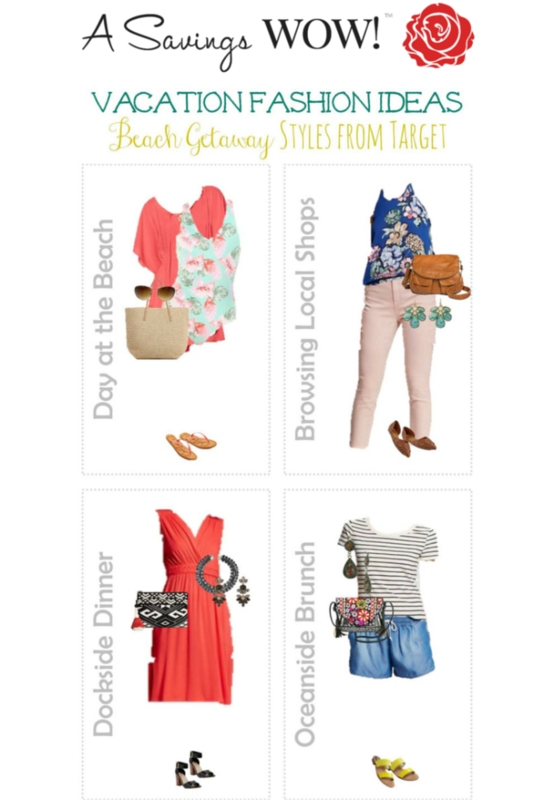 Whether you’re planning a vacation to the beach or wanting to add some cute styles to your warm weather wardrobe, you’ll want to check out these awesome styles from Target! Check out these coupons for Target on Savings.com to save even more money. Use your REDcard to save 5% off your purchase and get free shipping. I love Target! I will have to check my local store and see if I can find some of those blush jeans,love them! These outfits are super cute an stylish.I love shopping at Target for my families’ clothes and things.Thanks for the great feature of their styles. These are some great looks and at pretty good prices. Thanks!